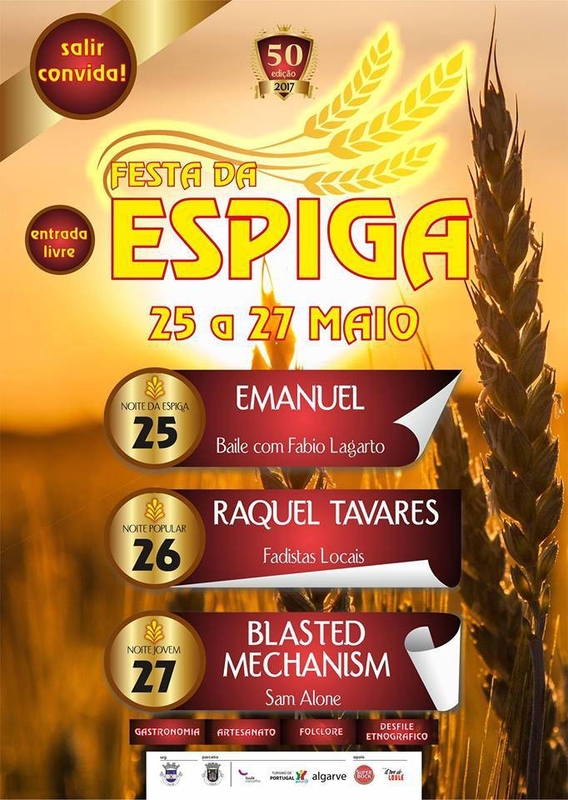 The Festa da Espiga is a traditional annual festival held in the village of Salir, Loulé. It takes place 40 days after Easter on the Feast of Ascension. An 'Espiga' is an arrangement of ears of wheat (or other cereal) to symbolise abundance, mixed with poppies, roses, daisies and marigolds to symbolise the beauty of the countryside, bound together with an olive branch to represent peace. It’s customary for villagers to hang an Espiga in their homes until the following year, then replace it with a new Espiga. It's a great event that takes place over three days - wonderful atmosphere with music, dancing, food etc.